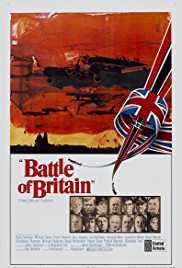 Battle of Britain is a 1969 British Second World War film directed by Guy Hamilton, and produced by Harry Saltzman and S. Benjamin Fisz. The film documented the events of the Battle of Britain. The film drew many respected British actors to accept roles as key figures of the battle, including Sir Laurence Olivier as Hugh Dowding and Trevor Howard as Keith Park. It also starred Michael Caine, Christopher Plummer and Robert Shaw as Squadron Leaders. The script by James Kennaway and Wilfred Greatorex was based on the book The Narrow Margin by Derek Wood and Derek Dempster.